Tim and his family reside in McDonough, Georgia. He has been married to his wife, Karen, for 26 years. 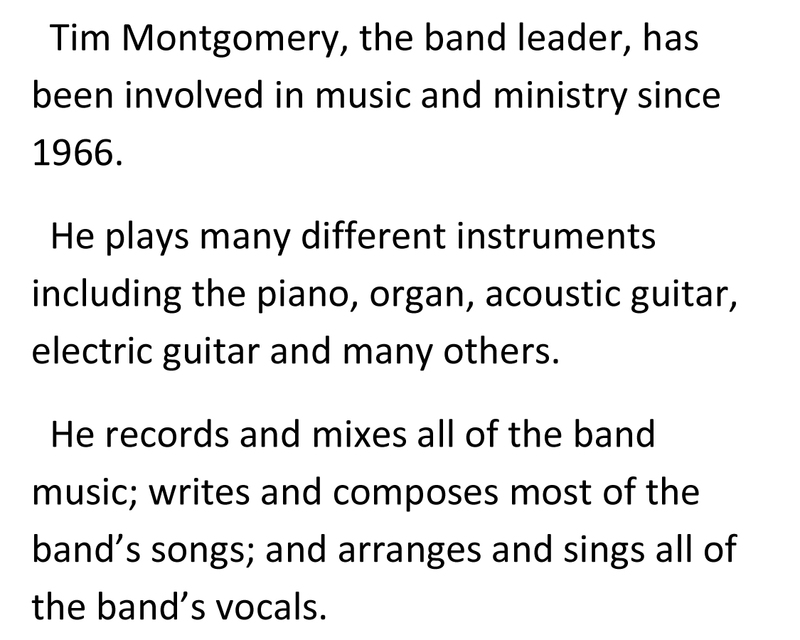 He has been involved in the ministry since 1966. He has held the offices of Co-Pastor, music and worship leader, Sunday School teacher and has also served as Youth Secretary and Youth President of a Pentecostal organization and Pastor for many years. 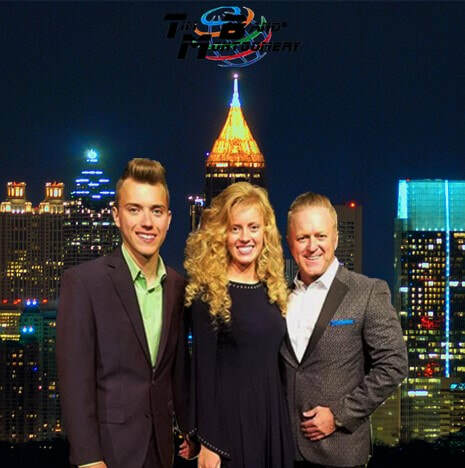 The Tim Montgomery Band is a father, son and daughter band making music to minister to the heart and soul of all walks of life. They travel to various churches and functions to minister in music and Word. Landon who is, 19 years old, has been playing the drums since he was two years old. 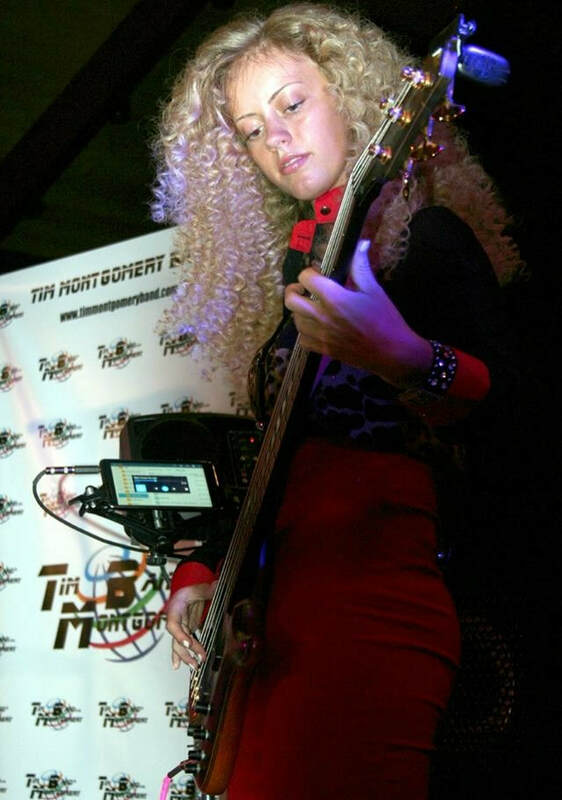 Alexis, who is 20 years old, has been playing the bass guitar for over 7 years. Some of their performances include: television stations, Global Winter Wonderland at Turner Field in Atlanta, GA; Lil Scrappy's New Reality Talk Show "Keepin It 1K," Stop the Violence at the Tupac Shakur Center, ceremony with Congressman John Lewis honoring a Tuskegee Airman with the Congressional Gold Medal Award; and Ray Charles Family RAYunion, among many others. 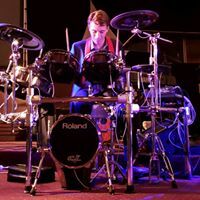 Tim has been involved in music sine he was six years old and has played with various groups. 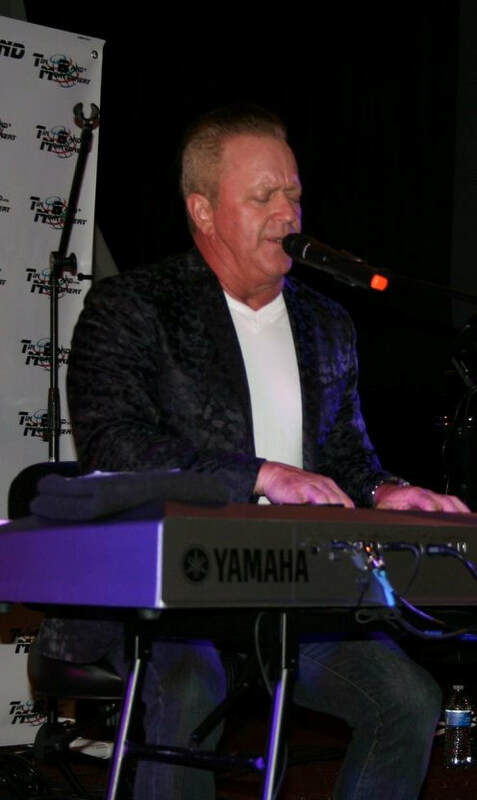 He has made many recordings and has been involved in doing various projects in his recording studio. He composes all of his projects. Thank You For Visiting! Come Back Often For Updated Content and Information! Copyright 2018. All Rights Reserved. Tim Montgomery Band.